Mike’s Pest Control provides full-service tree and ornamental spraying services to the McAlester Oklahoma area. We offer custom-oriented spraying programs to help you manage your home’s greenery and prevent insect and disease infestations. Mike’s Pest Control services uses high quality equipment, expertise, and enforcement to rid your property of unwanted pests, wildlife, and other various lawn maintenance issues. The Mike’s Pest Control team of highly-trained and experienced lawn care technicians work non-stop to ensure that your lawn is once again healthy, and inviting to visitors. 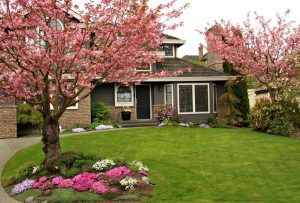 Whether your home or property requires tree and shrub maintenance or spraying solutions for your pest troubles, Mike’s Pest Control services delivers high quality lawn maintenance services for homes or structures of all sizes and styles. Mike’s Pest Control services is home to a friendly and professional staff that is committed to your overall satisfaction, from the moment you call our phone to the time we leave your property. The pest infestation experts and highly-qualified lawn maintenance professionals will work around the clock to ensure that your lawn is restored to a healthy state and that it continues to beautify your home exactly how it’s suppose to. Mike’s Pest Control has been providing professional pest control and lawn maintenance services since 1999 and have continued to be a preferred choice throughout the McAlester, Oklahoma region.